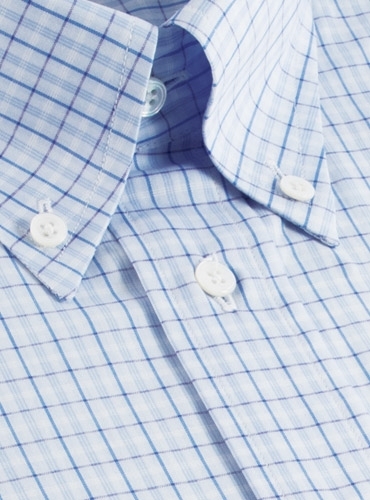 One of our handsome Swiss cotton 2-ply 120’s dress shirts with our unparalleled button down collars and gentleman’s easy fit, in the same tattersall check. 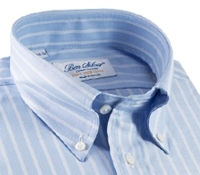 Featured in a sky blue ground with blue and purple check. 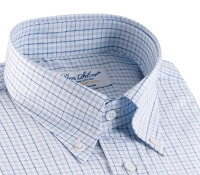 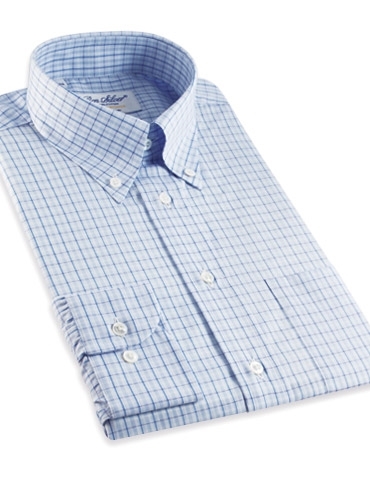 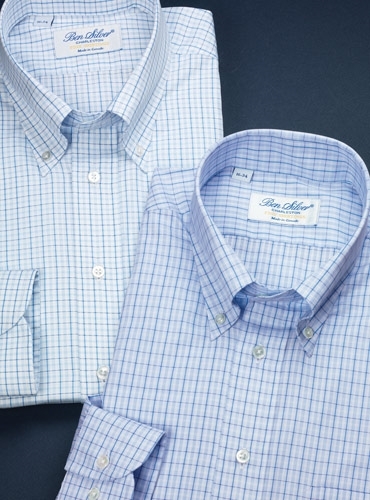 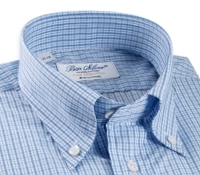 Also available: 423-white ground with blue and navy check.